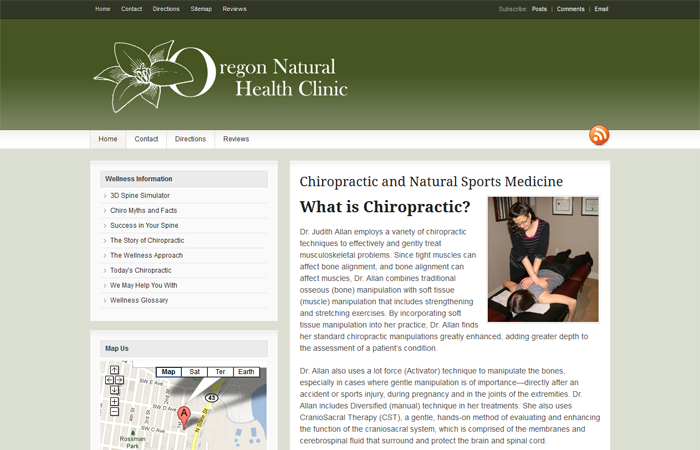 Dr. Judith Allan employs a variety of chiropractic techniques to effectively and gently treat musculoskeletal problems. Since tight muscles can affect bone alignment, and bone alignment can affect muscles, Dr. Allan combines traditional osseous (bone) manipulation with soft tissue (muscle) manipulation that includes strengthening and stretching exercises. By incorporating soft tissue manipulation into her practice, Dr. Allan finds her standard chiropractic manipulations greatly enhanced, adding greater depth to the assessment of a patient’s condition.